You are here: Home / Health / Alternative / Ingredient: What Is Fuller’s Earth? Ingredient: What Is Fuller’s Earth? A specific type of clay that got its name back in the days when a Fuller an old English name for a worker used the clay combining it with water, urine, and the cleansing herb soapwort (Saponaria officinalis) to extract grease and oil from woolen cloth. Hydrated aluminum silicates that contain metal ions such as magnesium, sodium, and calcium within their structure. How is it different from clay when listed on a label? It is more finely ground becomes a semi-liquid when mixed with water; won’t hold shape when wet due to containing a high water content when dry. Is it better than regular clay? My answer it depends on what you are using The Fuller’s Earth for. There are many types of clay they all absorb and filter to different degrees. Some have a plastic quality when wet and contain different trace minerals. Some clays can contain 70+ trace minerals. 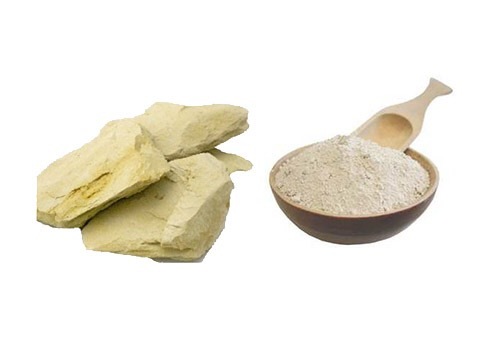 Almost all natural clays have value in promoting human health. Some may be consumed, others are best used only externally, and some are best reserved for industrial purposes. Depending on who you ask, there are three or four main groups of clays: kaolinite, montmorillonite-smectite, illite, and chlorite. Chlorites are not always considered a Clay. There are approximately 30 different types of “pure” clays in these categories, but most “natural” clays are mixtures of these different types, along with other weathered minerals. My suggestion is to research whether or not Fuller’s Earth or another type of clay would be appropriate for your required use. « Favorite Men’s Colognes For Women!